In March, 2012, just six months after their franchise had been bought up by Bread of Life, a company owned by Manna Development, a former McDonald's franchisee, 18 bakers at six Panera Bakery and Cafes along the I-94 corridor in Southwestern Michigan decided to join a union. The bakers take the midnight shift, working raw dough into the artisan breads Panera has grown famous for. Their training is extensive--a seven-week "boot camp" with exams and skill demonstrations, a 90-day assessment period, and sometimes as much as a year's worth of kitchen work before the comfort level reaches "artisan" stage. For their efforts, they earn in the neighborhood of $10 to $11 an hour. Many of them have no insurance benefits at all, and those who do find their premiums biting a huge chunk out of their already low pay. The bakers thought they deserved better. They approached the Bakery, Confectionery, Tobacco Workers and Grain Millers International Union through their website, and the union took them on, apparently finding nothing odd about such a small contingent--only 18 workers--attempting to form a union. Small as the group is, their move toward labor representation was unprecedented in a couple of ways: They're the first Panera workers in the country to attempt to organize (a move the new owners found "embarrassing") but more than that, their method of organizing took on new dimensions that would have been impossible even a few years ago. They organized through social networking. "This group was ready. They did all the work themselves," said [John Price, the bakers' union rep], who added that the Labor Board will issue certification to the I-94 corridor workers on Friday. The Panera workers will be represented by Local 70 out of Grand Rapids. "This is a really intelligent group. They really impressed me. For the most part, they are under 30. They used social media to contact one another." The bakers' use of Facebook and other social media tools are modern twists in the history of collective bargaining -- ones that may prove especially effective in the future, experts say. "You see a lot of this happening on Facebook and emails. It is very hard for an employer to counter," said Satish Deshpande, associate dean at the Haworth College of Business at Western Michigan University. Deshpande pointed out that no one has to hand out pamphlets or meet in hotel rooms anymore. And while employers can bar union organizers from the workplace, they can't bar them from Facebook. "Thanks to social media, union organizers can very easily access these people directly at their homes. ... You can control your employees at the workplace, but once they leave the workplace, it's impossible," Deshpande said. When the 18 bakers, who are employed by the Bread of Life Franchise which owns all Panera locations along the I-94 corridor of Southwest Michigan, decided they had enough of being improperly compensated as skilled bakers, they reached out to Bakery, Confectionery, Tobacco Workers and Grain Millers International Union (BCTGM) through the union’s website, BCTGM.org. The Panera bakers were concerned with inadequate medical insurance, insufficient time off, unsafe working conditions and improvements to the bakeries that were being ignored by management. When 90 percent of the Panera bakers signed union cards, they approached management and requested recognition as a union. Rather than honoring their skilled bakers by recognizing them as a union, the owners of the Michigan Panera franchise hired a law-firm to delay a union vote by claiming the I-94 Division was not an appropriate unit. 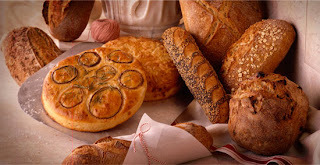 The National Labor Relations Board (NLRB) ruled these bakers were indeed an appropriate unit and directed a secret ballot election be held on Thursday, March 22, 2012. The workers held together through eight weeks of threats, intimidation and other tactics used by management in an attempt to pressure the workers to vote against the union. Following the NLRB election on Thursday morning, which had voting at each of the six Panera café locations in Southwestern Michigan, the NLRB Agents counted the ballots and announced the bakers had won by a two-to-one margin to be represented by the BCTGM. By September, nearly six months later, the company still refused to recognize the union. Contacted by The Herald-Palladium, the company issued the following written statement regarding the dispute: "There is a process in place to deal with the issues that remain concerning the union vote. The union and the company are both aware of the process and have agreed to see it to conclusion. These are not processes that move quickly. As the process moves forward we're continuing to work closely with our bakers and run our business to serve our guests daily the best we can." John Price, BCTGM representative for the Panera Bread bakers, said in a phone interview Friday that the company failed to address workers' concerns before they sought to join a union and have failed to do so since. He said that following the bakers' vote March 23 to join the union the company filed an unfair labor practice charge objecting to the election. The workers also filed unfair labor practice charges, listing 43 complaints about the company's treatment of them, Price said. He said that after an investigation of several weeks, the National Labor Relations Board dismissed the company's charges against the workers but found merit to the union's charges against the company and scheduled a federal hearing before an administrative law judge. Before the scheduled hearing the company decided to settle the complaint, Price said. But, he said, the company has not lived up to terms of the settlement, which was to include withdrawing all objections to the union vote and back pay to the bakers to resolve a failure to bargain. He said the workers are still without a contract. Eventually, 90 percent of the Panera bakers signed cards authorizing a union election. But according to a complaint filed last year by a regional director for the National Labor Relations Board (NLRB), the federal agency that enforces labor law, Bread of Life managers allegedly violated labor law in trying to dissuade workers from joining the union. [Paul] Saber was personally responsible for many of the violations, the complaint stated. Bread of Life has since settled the complaint without admitting any wrongdoing. Among the allegations in the complaint, in the weeks leading up to the election Bread of Life told employees not to sign union authorization cards; asked employees who'd signed them to retract them; launched a website designed "to discourage support" for the union; promised workers better employee benefits if they declined to unionize; and threatened employees with "loss of benefits" if they did unionize. The effort also included at least two required meetings with management and a consultant, who outlined the reasons why the employees didn't need a union. The bakers say the meetings were held at hotels in Kalamazoo, Mich., just before the union election, and started in the morning, right after they'd finished their overnight shifts, and lasted several hours. According to the NLRB complaint, Saber promised workers promotions if they didn't unionize and told them he would fight the union "until his dying breath." He also said it would be "futile" for them to unionize because "he would delay the certification ... as long as possible no matter the cost." According to the bakers, Saber said workers shouldn't unionize in part because Bread of Life is a Christian company that looks after its own. "We had to hear about how he was a good Christian who'd take care of us so we needed to stop this union nonsense," said [Kathleen] VonEitzen, whose version of events was corroborated by Jared Miller, another baker in attendance. "They asked us to delay the vote. "I read the Bible regularly," VonEitzen added. "We don’t have the same Bible." So there it stands. Add to their plight the fact that, thanks to Michigan's Republican governor and Republican legislature, our once-great state is now a Right-to-Work state, which means further restrictions on union organizing, moving the effort from "almost impossible" to "damned impossible". But one more thing: This is not an indictment of all Panera stores. This is one small franchise, remember. The Panera mother company, in fact, does some admirable work in the inner cities and low income areas with their Panera Cares Community Cafes. Anyone can come into the community cafes and get a hot meal for whatever they can afford to pay. And if they can't pay, they can volunteer an hour of their time working in the cafe. Their motto is, "We're not offering a hand out, we're offering a hand up." Now if they could just train a certain Bread of Life franchisee to follow Panera's "Live Consciously" model. I'm pretty sure there's something about that, even in Paul Saber's Bible.